Here's everything you need to know about the 3rd Test between Pakistan and New Zealand at Sheikh Zayed Stadium in Abu Dhabi. New Zealand skipper Kane Williamson hit a fighting half-century while BJ Watling batted with patience to delay leg-spinner Yasir Shah’s bid to become the fastest to 200 wickets on the day one of the third and final Test in Abu Dhabi on Monday. Williamson missed out on a 19th Test century but Watling was unbeaten on 42 as New Zealand closed on 229-7, a measured recovery after being reduced to 72/4 by a triple strike from Yasir in the first session. Yasir began his 33rd Test needing five wickets to become the fastest man to reach the milestone of 200 Test wickets. The record is currently 36 Tests, set 82 years ago by Australian legspinner Clarrie Grimmett. Yasir managed 3/62 but was then thwarted by the fifth wicket stand of 104 in 249 balls between Williamson and Watling. He failed to take any more wickets in the last two sessions and still needs another two wickets to hit the 200-mark and claim the record. Williamson struck seven boundaries but these were the bright points in a day when the defence came first. The normally robust and aggressive Kiwi captain curbed his attacking instinct as he attempted to carve out first innings that might give his side some leverage in the match. The scoring rarely got above two an over. What time will the 3rd Test between Pakistan and New Zealand start? The day 2 of the 3rd Test between Pakistan and New Zealand will start at 11:30 AM. Where is the 3rd Test between Pakistan and New Zealand being played? The 3rd Test between Pakistan and New Zealand is being played will take place at Sheikh Zayed Stadium in Abu Dhabi. Which TV channels will broadcast the live coverage of the 3rd Test between Pakistan and New Zealand? The 3rd Test between Pakistan and New Zealand is being broadcasted live on Sony Sports network (Sony Six, Sony Six HD channels) in India. 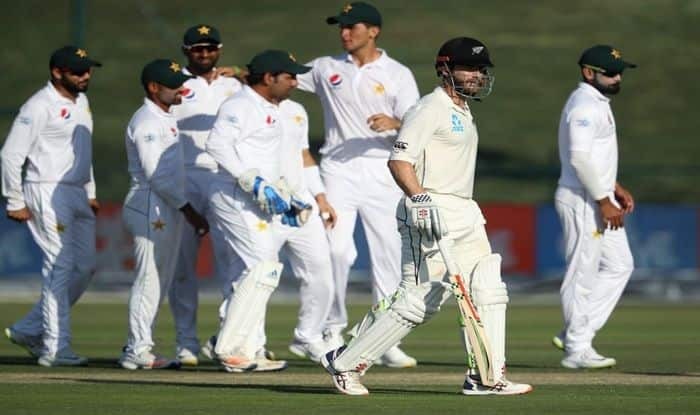 How to watch the free live online streaming of 3rd Test between Pakistan and New Zealand? The free live online streaming of 3rd Test between Pakistan and New Zealand is available on Sony Liv app and Jio TV. What are the playing XI’s of the 3rd Test between Pakistan and New Zealand?